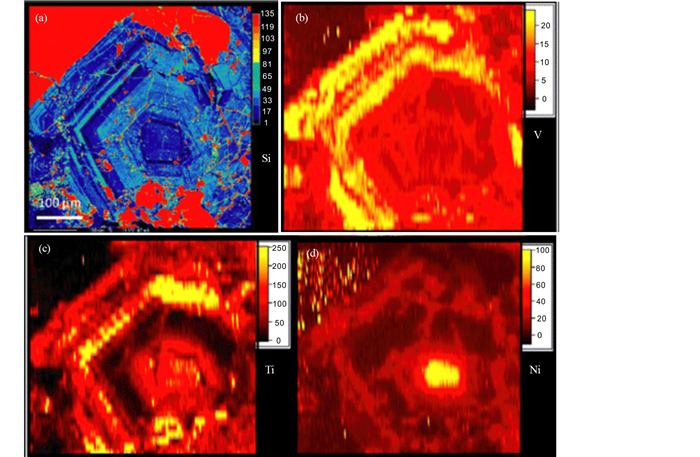 Abstract: Advances in rapid seccesful developments of laser in situ quantitative analysis techniques making mineral to be an importaint indicator for the study of mineral deposit geochemistry and it's exploration. Collecting the achivments of trace element geochemistry study of magnetite, apatite, garnet, titanite, zircon, chlorite and epidote etc., the discrimination of ore deposits classification, mineralization dating, reconstruction of mineralization oxygen fugasity, mineralization processes and ore-forming sources, and mineral exploration are introduced. 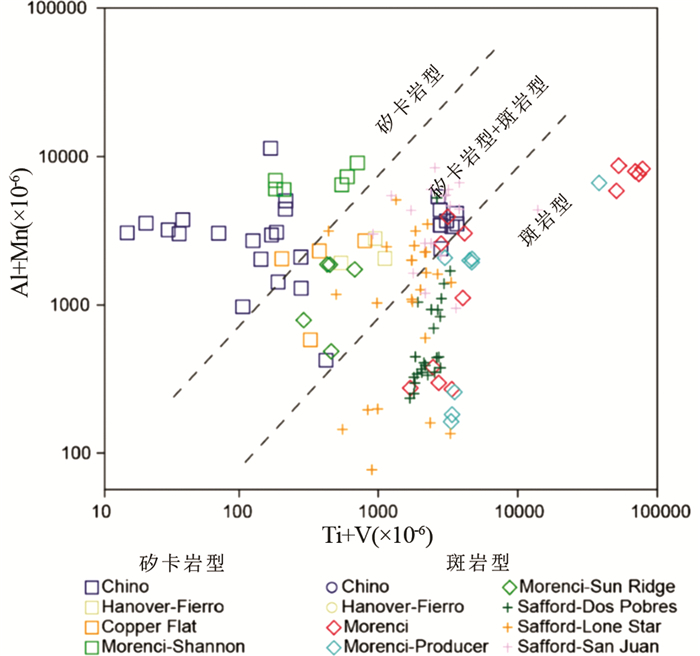 Classification of different ore deposits can be discriminated in terms of the trace element contents and their association of widespread common accessory minerals. 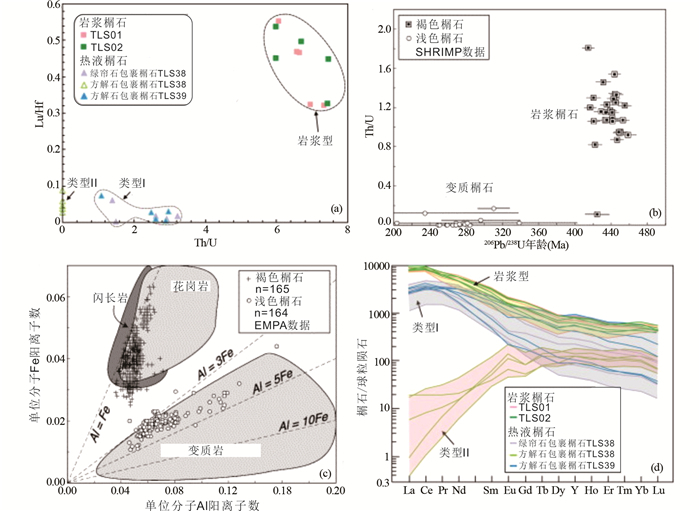 The in-situ LA-ICP-MS and SIMS dating of single particular of ore or paragenesis minerals, sach as cassiterite, columbite-tantalite, hematite, hydrothermal zircon, apatite, garnet and calcite etc. have provided high precision mineralization ages. The concentrations and/or of redox sensitive elements with multivalence such as Fe, V, Mn, Ce and Eu in accessory minerals can offer great potential in obtaining reliable proxy and estimates of redox conditions for mineralization processes. Systematic variations of trace element and isotopic ratio from the core to the rim of garnet oscillatory zonation are used to fingerprinting of the change or souce of ore-forming fluids. 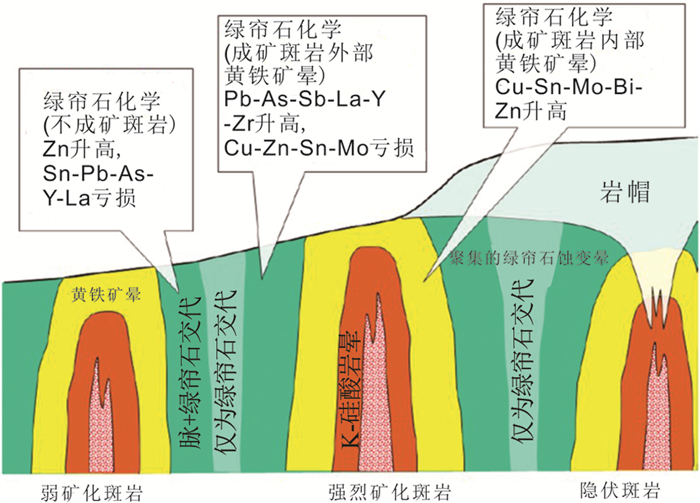 The typical trace element ratios of hydrothermal alteration minerals (epidote and chlorite) such as Ti/Sr, Ti/Co, V/Ni, Mg/Sr have shown a linear function of radial distance from the porphyry Cu deposit center. Accordingly these minerals can be an indicator and important tool for assessment and exploration of porphyry and skarn deposits. Ballard J, Palin, JM and Campbell IH. 2002. 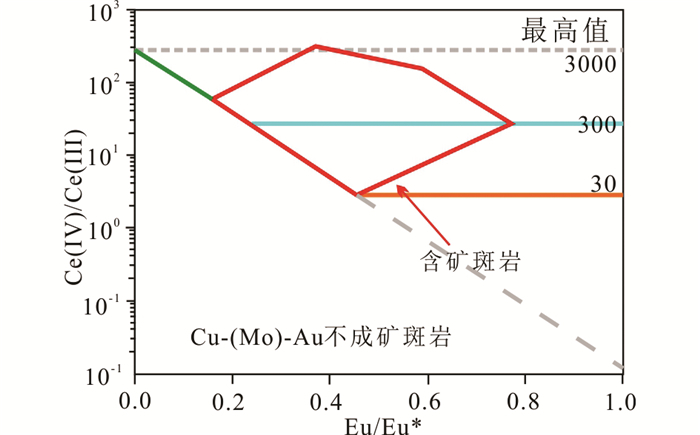 Relative oxidation states of magmas inferred from Ce(IV)/Ce(Ⅲ) in zircon:Application to porphyry copper deposits of northern Chile. Contribution to Mineralogy Petrology, 144(20): 347-364. Baxter1 EF, Caddick MJ and Ague JJ. 2013. Garnet:Common Mineral, Uncommonly Useful. Elements, 9(12): 415-419. Chen F, Lin CY, Zhang HF and Xie HS. 1995. Generality on Mineralogical Physics. Beijing: Science Press: 1-478. Chen GY, Li MH, Wang XF, Sun DS, Sun CM, Wang ZF, Su YX and Lin JX. 1984. 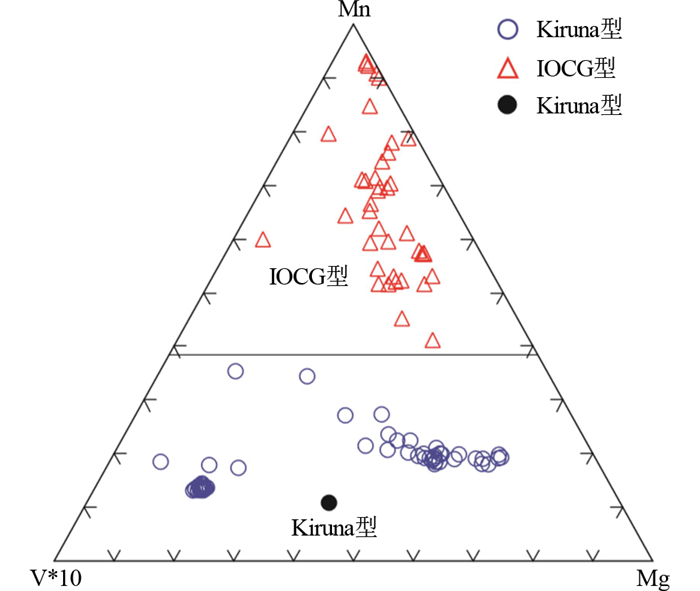 Genetic mineralogy of Gongchangling iron mine. Journal Mineralogy and Petrology, 4(2): 3-4. Chen GY, Sun DS and Yin HA. 1987. 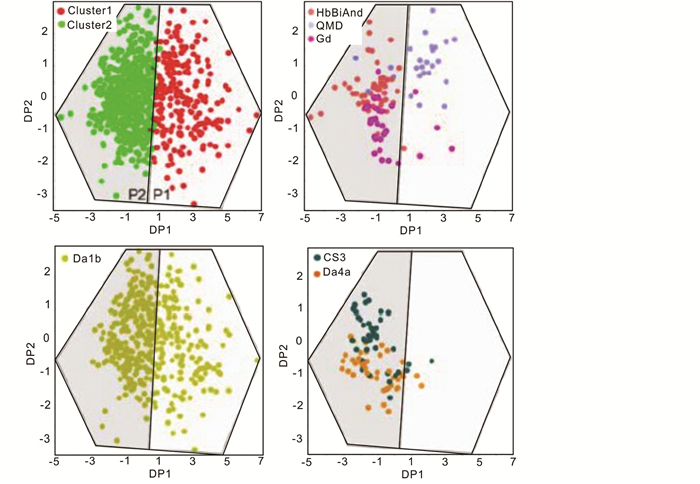 Genetic Mineralogy and Prospecting Mineralogy. Chongqing: Chongqing Press. Chen HY and Han JS. 2015. Study of magnetite:Problems and future. Bulletin of Mineralogy, Petrology and Geochemistry, 34(4): 724-730. Flury B. 1997. A First Course in Multivariate Statistics. New York: Springer: 1-715. Guo CJ. 1954. Generality on Mineral Chemistry and It's Analysis. Beijing: Science Press: 1-153. Guo CJ. 1959. Mineral Chemistry of Radioactive Elements. Beijing: Science Press: 1-304. Guo CJ. 1965. Mineral Chemistry of Rare Elements. 2nd Edition. Beijing: Science Press: 1-700. Han L, Huang XL, Li J, He PL and Yao JM. 2016. 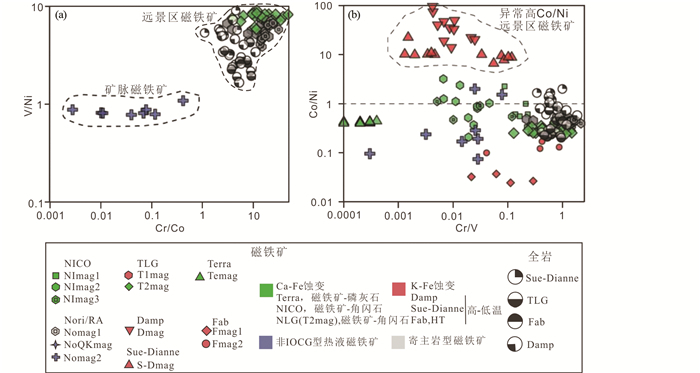 Oxygen fugacity variation recorded in apatite of the granite in the Dahutang tungsten deposit, Jiangxi Province, South China. Acta Petrologica Sinica, 32(3): 746-758. Hsu LC. 1976. 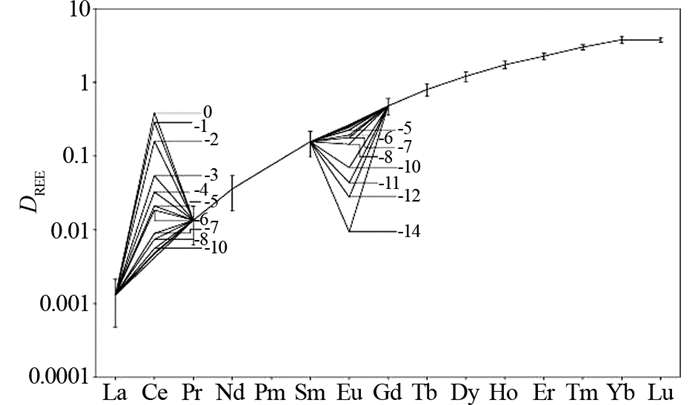 The stability relations of the wolframite series. America Mineralogist, 61(9-10): 944-955. Hughes JM and Rakovan JF. 2002. The crystal structure of apatite, Ca5(PO4)3(F, OH, Cl). Reviews in Mineralogy and Geochemistry, 48(1): 1-12. Imai A, Listanco EL and Fujii T. 1993. 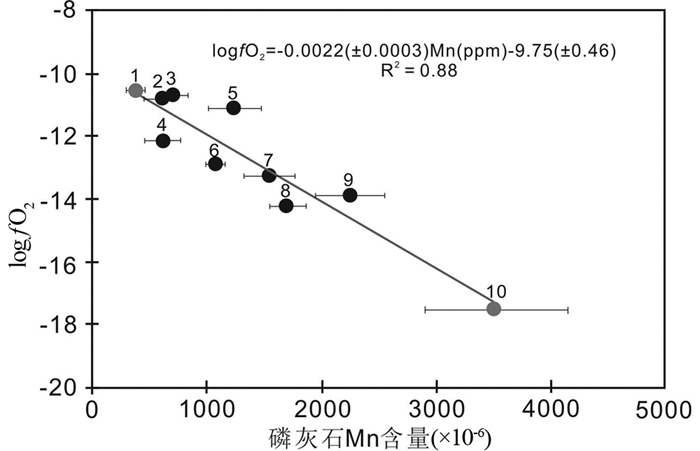 Petrologic and sulfur isotopic significance of highly oxidized and sulfur-rich magma of Mt. Pinatubo, Philippines. Geology, 21(8): 699-702. Jamtveit B and Hervig RL. 1994. Constraints on transport and kinetics in hydrothermal systems from zoned garnet crystals. Science, 263(28): 506-507. Li CM, Deng JF, Su SG, Li HM and Liu XM. 2010. 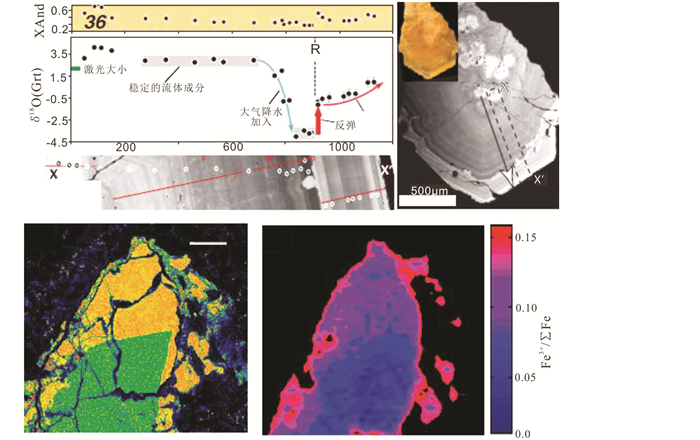 Two stage zircon U-Pb ages of the potash altered rock in the Dongping gold deposit, Hebei Province, and their geological Implications. Acta Geoscientica Sinica, 31(6): 843-852. Li KW, Zhang Q, Wang DP, Cai Y and Liu YP. 2013. 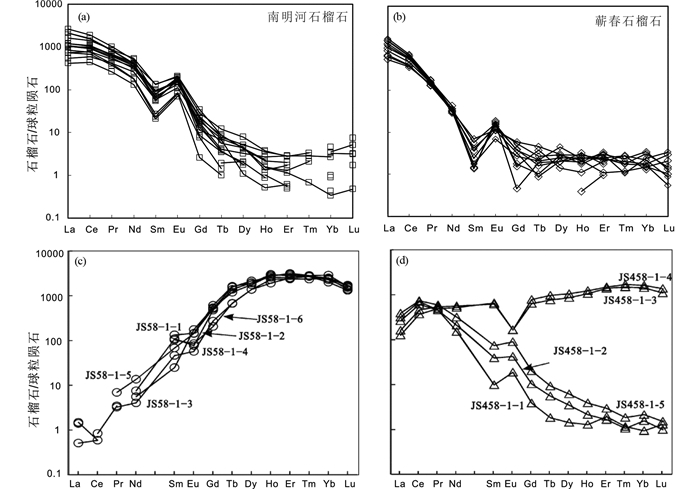 LA-MC-ICP-MS U-Pb geochronology of cassiterite from the Bainiuchang polymetallic deposit, Yunnan Province, China. Acta Mineralogica Sinica, 33(2): 203-209. Li QL, Yang YN, Shi YH and Lin W. 2013. Eclogite rutile U-Pb dating:Constrant for formation and evolution of continental collisional orogen. 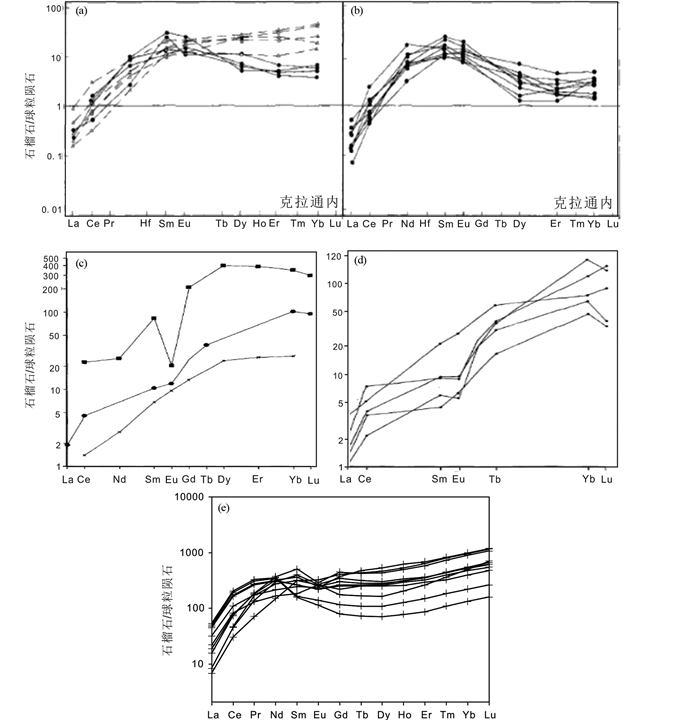 Chinese Science Bulletin, 58(23): 2279-2284. Lin SZ. 1982. A contribution to the chemistry, origin and evolution of magnetite. Acta Mineralogica Sinica, (3): 166-174. Liu YP, Li ZX, Li HM, Guo LG, Xu W, Ye L, Li CY and Pi DH. 2007. 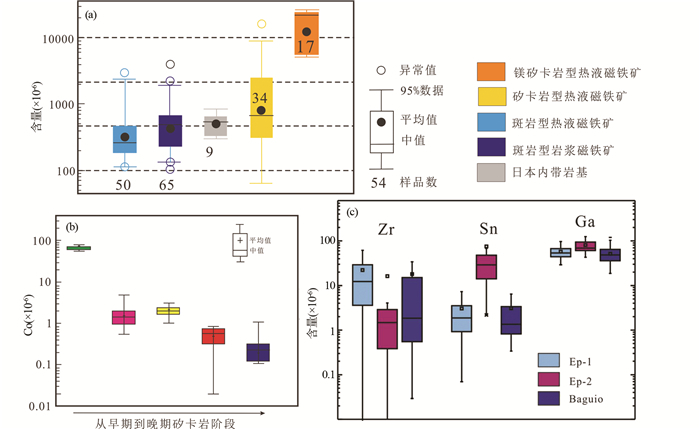 U-Pb geochronology of cassiterite and zircon from the Dulong Sn-Zn deposit:Evidence for Cretaceous large-scale granitic magmatism and mineralization events in southeastern Yunnan Province, China. Acta Petrologica Sinica, 23(5): 967-976. Ma N, Deng J, Wang QF, Wang CM, Zhang J and Li GJ. 2013. 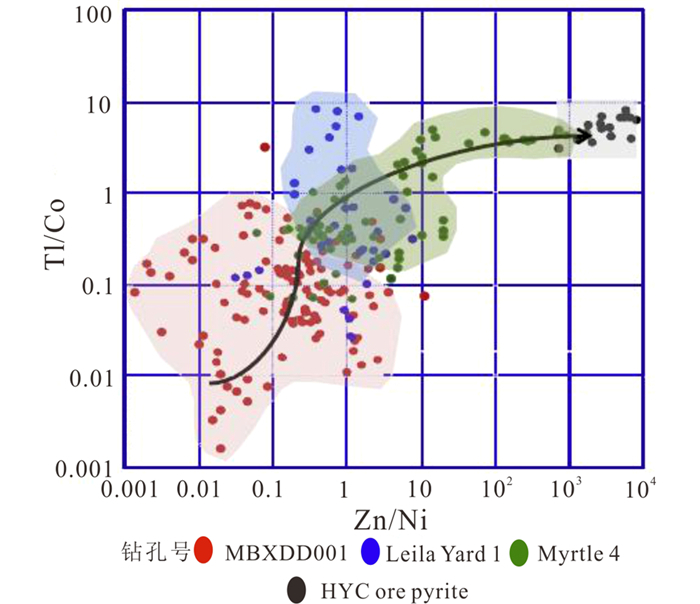 Geochronology of the Dasongpo tin deposit, Yunnan Province:Evidence from zircon LA-ICP-MS U-Pb ages and cassiterite LA-MC-ICP-MS U-Pb age. Acta Petrologica Sinica, 29(4): 1223-1235. Marfuning AS. 1979. Physics of minerals and inorganic materils:An introduction. Springer-Verlag. Melcher F, Sitnikova MA, Graupner T, Martin N, Oberthür T, Henjes-Kunst F., Gabler E, Gerdes A, Bratz H, Davis DW and Dewaele S. 2008. Fingerprinting of conflict minerals:Columbite-tantalite ("coltan") ores. SGA News, 23: 1-14. Miles AJ, Graham CM, Hawkesworth CJ, Gillespie MR, Hinton RW, Bromiley GD and EMMAC. 2014. 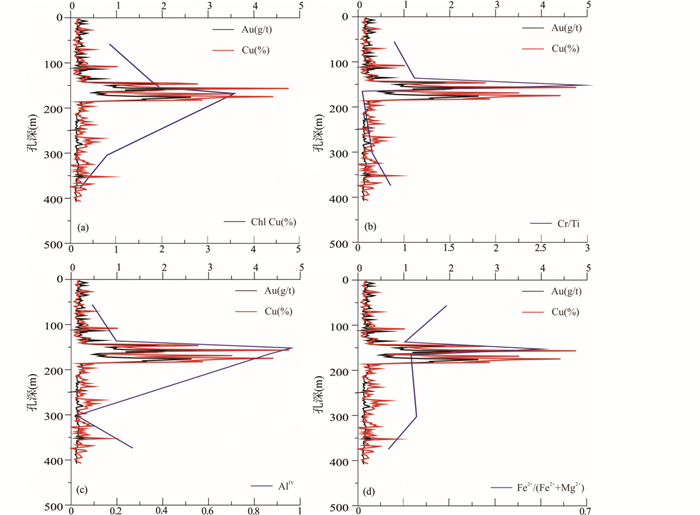 Apatite:A new redox proxy for silicic magmas?. Geochimica et Cosmochimica Acta, 132: 101-119. Miyake Y. 1965. Elements of geochemistry. Tokyo: Masuzen Company Ltd.: 302-1. Nesheim TO, Vervoort JD, McClelland WC, Gilotti JA and Lang HM. 2012. Mesoproterozoic syntectonic garnet within belt supergroup metamorphic tectonites:Evidence of Grenville-age metamorphism and deformation along Northwest Laurentia. Lithos, 134: 91-107. Peng ZZ. 1962. X-Ray Analysis. Beijing: Geological Publishing House. Pertermann M, Hirschmann MM, Hametner K, Günther D and Schmidt MW. 2004. 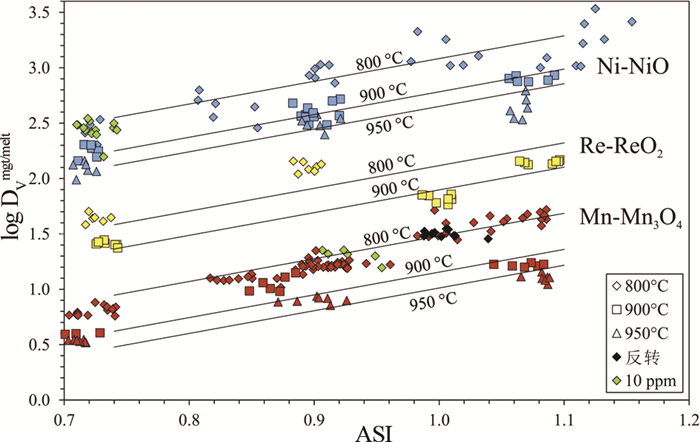 Experimental determination of trace element partitioning between garnet and silica-rich liquid during anhydrous partial melting of MORB-like eclogite. Geochemistry, Geophysics, Geosystem, 5(5): 1-23. Sun WD, Li H, Ling MX, Ding X and Li CY. 2015. Magnetite crisisand copper gold mineralization. Bulletin of Mineralogy, Petrology and Geochemistry, 34(5): 895-901. Vermeesch P. 2006b. Tectonic discrimination diagrams revisited. Geochemistry, Geophysics, Geosystems: 1-55. Wang P, Pan ZL and Weng LB. 1982. Systematic Mineralogy. Beijing: Geological Publishing House. Wang RC, Xie L, Chen J, Yu AP, Wang LB, Lu JJ and Zhu JC. 2011. Titanite as an indicator mineral of tin mineralizing potential of granites in the middle Nanling Range. 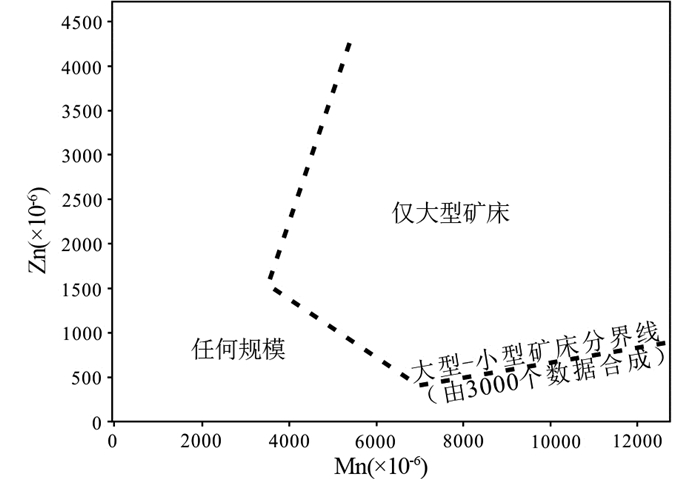 Geological Journal of China Universities, 17(3): 368-380. Wang XJ, Liu YP, Miao YL, Bao T, Ye L and Zhang Q. 2014. In-situ LA-MC-ICP-MS cassiterite U-Pb dating of Dulong Sn-Zn polymetallic deposit and its significance. Acta Petrologica Sinica, 30(3): 867-876. Wang ZQ, Chen B and Ma XH. 2014. 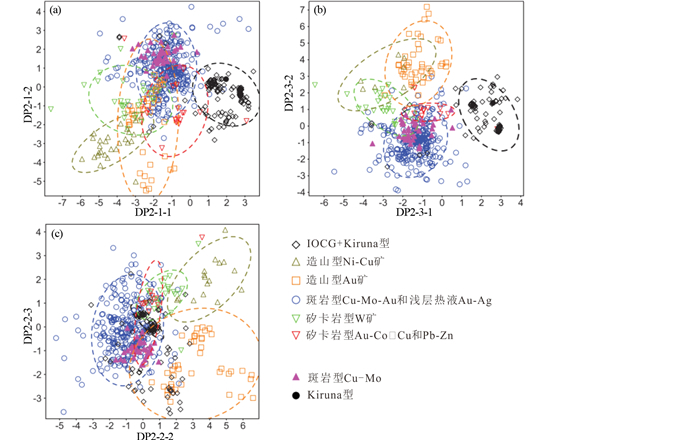 In situ LA-ICP-MS U-Pb age and geochemical data of cassiterite of the Furong tin deposit, the Nanling Range:Implications for the origin and evolution of the ore-forming fluid. Chinese Science Bulletin, 59: 2505-2519. Wood SA. 1990. 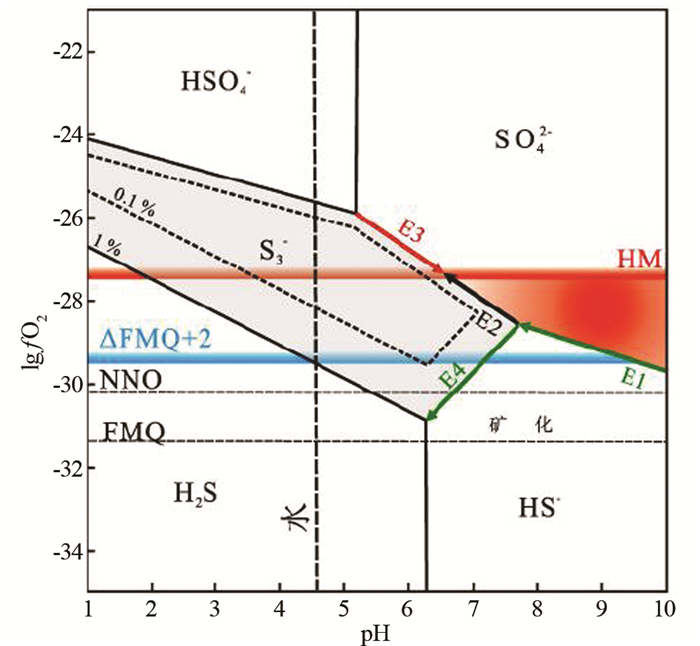 The aqueous geochemistry of the rare-earth elements and yttrium:2.Theoretical predictions of speciation in hydrothermal solutions to 350℃ at saturation water vapor pressure. Chemical Geology, 88(1-2): 99-125. Wood SA and Samson IM. 2000. 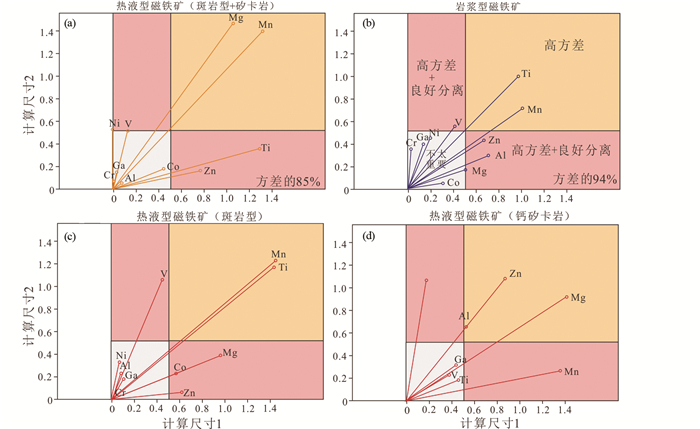 The hydrothermal geochemistry of tungsten in granitoid environments:I.Relative solubilities of ferberite and scheelite as a function of T, P, pH, and mNaCl. Economic Geology, 95(1): 143-182. Xu GF and Shao JL. 1979. Typomophic features and geological significance of magnetite. Geology and Exploration, (3): 30-37. Yang C, Tang JX, Song JL, Zhang Z, Li YB, Sun XG, Wang Q, Ding S, Fang X, Li YB, Wei LJ, Wang YY, Yang HH, Gao K, Song Y and Lin B. 2015. Chlorite characteristic of the Naruo porphyry Cu (Au) deposit in Tibet and its geological significance. Acta Geologica Sinica, 89(5): 856-872. Ye DN. 1988. Structural-optical Mineralogy. Beijing: Geological Publishing House: 1-230. Ye DN and Zhang JM. 1990. Constant volumes per oxygen of the Earth's layers. Science in China (Series B), 33(7): 887-896. Yuan SD, Li HM, Hao S, Geng JZ and Zhang DL. 2010. 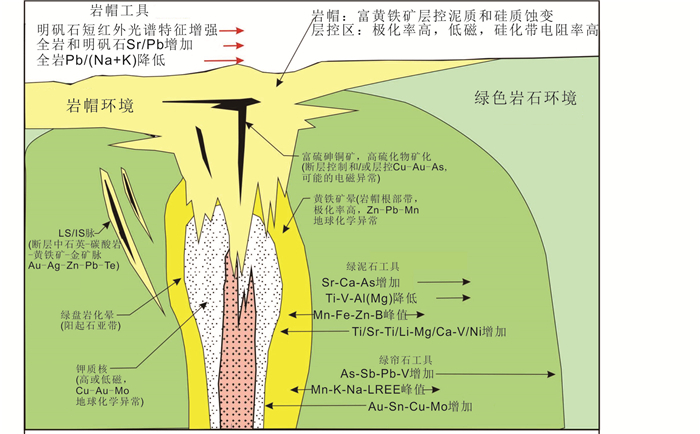 In situ LAMC-ICP-MS U-Pb geochronology of cassiterite in the giant Furong tin deposit, Hunan Province. Mineral Deposits, 29(Suppl.1): 543-544. Zhai W, Li ZL, Sun XM, Huang DL, Liang JL and Miao LC. 2006. SHRIMP zircon U-Pb dating of the Hetai gold deposit in western Guangdong, China and geological implications. Geological Review, 52(5): 690-699. Zhang DL, Peng JT, Hu RZ, Yuan SD and Zheng DS. 2011. The closure of U-Pb isotope system in cassiterite and its reliability for dating. Geological Review, 57(4): 549-554. Zhang DQ and Lei YF. 1992. 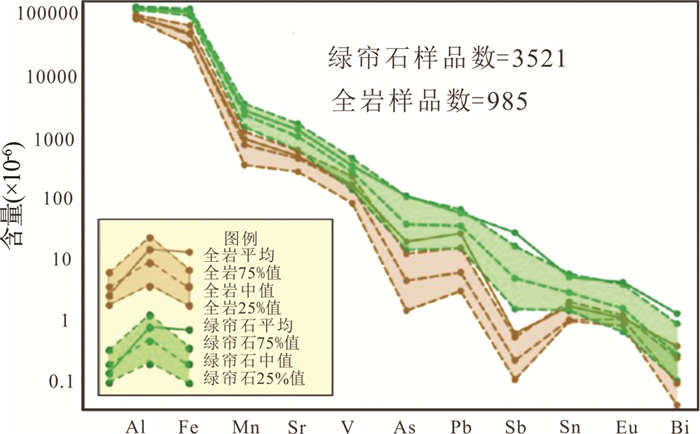 Typochemical characteristics of major ore minerals from southern Da Hinggan mountains in east Inner Mongolia. Acta Petrologica et Mineralogica, 11(2): 166-177. Zhang H, Liang HY, Zhao Y, Ling MX and Sun WD. 2018. 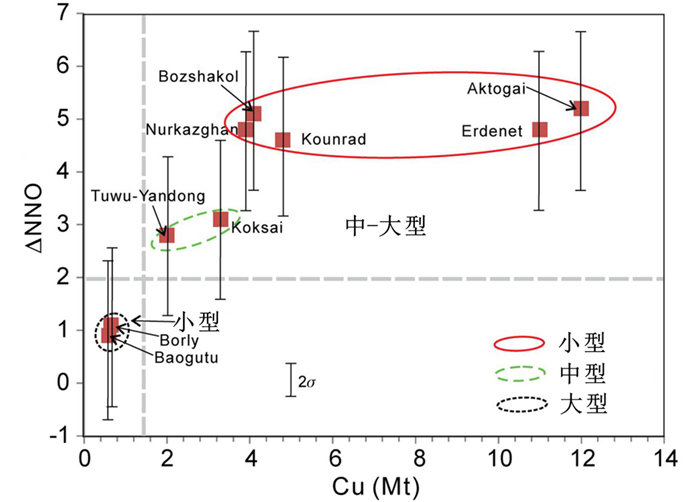 Investigation of the geochemical characteristics of apatite trace elements from the Yulong porphyry copper belt, Eastern Tibet. Geochimica, 47(1): 14-32. Zhang Y, Shao YJ, Zhang RQ, Li DF, Liu ZF and Chen HY. 2018. 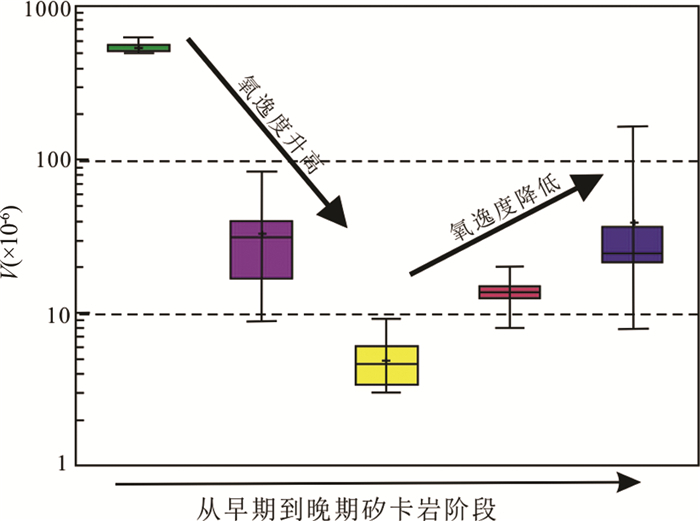 Dating ore deposit using garnet U-Pb geochronology:Example from the Xinqiao Cu-S-Fe-Au deposit, Eastern China. Minerals, 8(1): 31. Zhao ZH. 2016. Principles of Trace Element Geochemistry. 2nd Edition. Beijing: Science Press: 8-303, 421-443. Zhu QQ, Xie GQ, Li W, Zhang F, Wang J, Zhang P and Yu BF. 2014a. 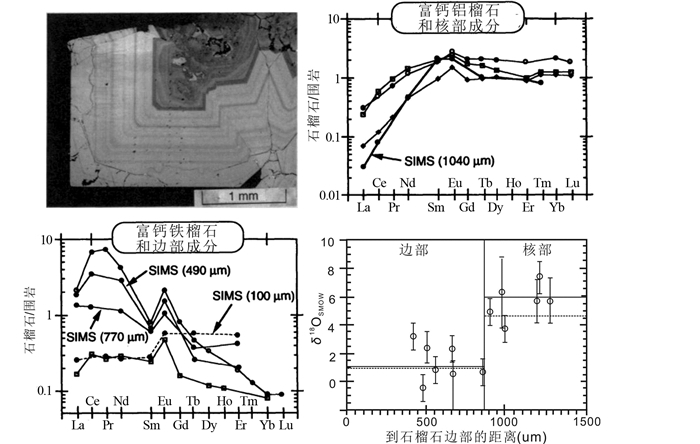 In situ analysis of garnets from the Jingshandian iron skarn deposit, Hubei Province, and its geological implications. Geology in China, 41(6): 1944-1963. Zhu QQ, Xie GQ, Jiang ZS, Sun JF and Li W. 2014b. 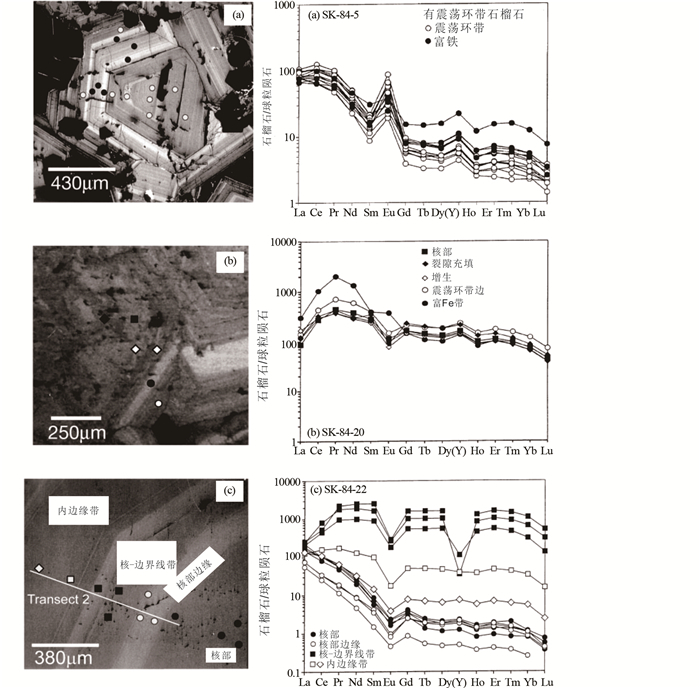 Characteristics and in situ U-Pb dating of hydrothermal titanite by LA-ICPMS of the Jingshandian iron skarn deposit, Hubei Province. Acta Petrologica Sinica, 30(5): 1322-1338. 陈丰, 林传易, 张慧芬, 谢洪森. 1995. 矿物物理学概论. 北京: 科学出版社: 1-478. 陈光远, 黎美华, 汪雪芳, 孙岱生, 孙传敏, 王祖福, 速玉萱, 林家湘. 1984. 弓长岭铁矿成因矿物学专辑前言. 矿物岩石, 4(2): 3-4. 陈光远, 孙岱生, 殷辉安. 1987. 成因矿物学与找矿矿物学. 重庆: 重庆出版社. 郭承基. 1954. 希有元素矿物及其化学分析法概论. 北京: 科学出版社: 1-153. 郭承基. 1959. 放射性元素矿物化学. 北京: 科学出版社: 1-304. 郭承基. 1965. 稀有元素矿物化学. 第2版. 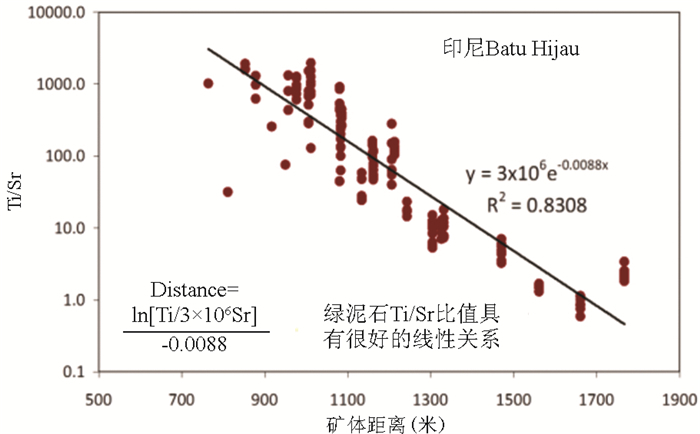 北京: 科学出版社: 1-700. 韩丽, 黄小龙, 李洁, 贺鹏丽, 姚军明. 2016. 江西大湖塘钨矿花岗岩的磷灰石特征及其氧逸度变化指示. 岩石学报, 32(3): 746-758. 李长民, 邓晋福, 苏尚国, 李惠民, 刘新秒. 2010. 河北省东坪金矿钾质蚀变岩中的两期锆石年代学研究及意义. 地球学报, 31(6): 843-852. 李开文, 张乾, 王大鹏, 蔡伊, 刘玉平. 2013. 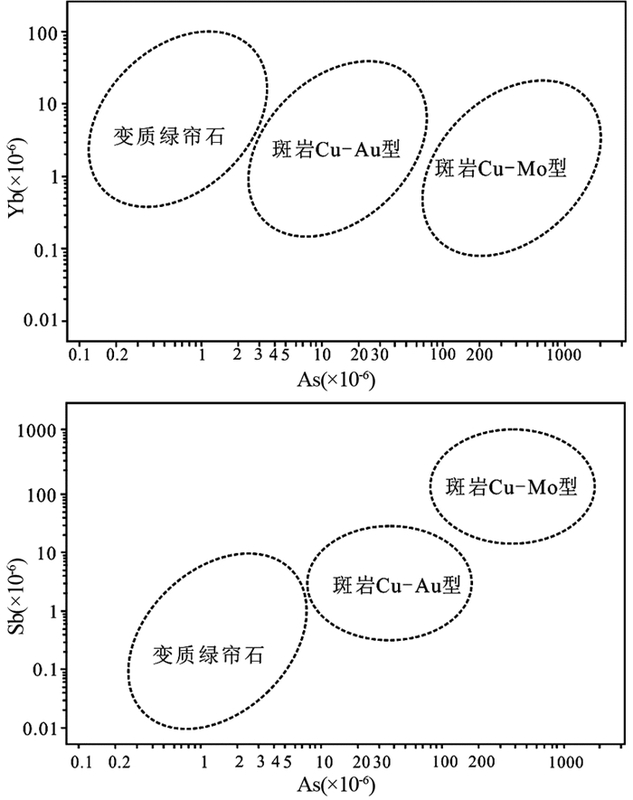 云南蒙自白牛厂多金属矿床锡石原位LA-MC-ICP-MS U-Pb年代学. 矿物学报, 33(2): 203-209. 李秋立, 杨亚楠, 石永红, 林伟. 2013. 榴辉岩中金红石U-Pb定年:对大陆碰撞造山带形成和演化的制约. 科学通报, 58(23): 2279-2284. 林师整. 1982. 磁铁矿矿物化学、成因及演化的探讨. 矿物学报, (3): 166-174. 刘燚平, 张少颖, 张华锋. 2016. 绿泥石的成因矿物学研究综述. 地球科学前沿, 6(3): 264-282. 刘玉平, 李正祥, 李惠民, 郭利果, 徐伟, 叶霖, 李朝阳, 皮道会. 2007. 都龙锡锌矿床锡石和锆石U-Pb年代学:滇东南白垩纪大规模花岗岩成岩-成矿事件. 岩石学报, 23(5): 967-976. 马楠, 邓军, 王庆飞, 王长明, 张静, 李龚健. 2013. 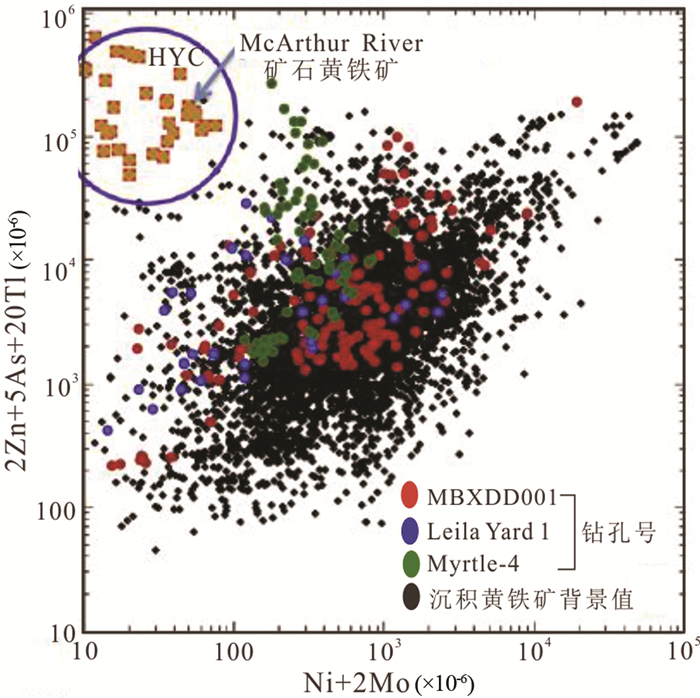 云南腾冲大松坡锡矿成矿年代学研究:锆石LA-ICP-MS U-Pb年龄和锡石LA-MC-ICP-MS U-Pb年龄证据. 岩石学报, 29(4): 1223-1235. 彭志忠. 1962. X射线分析简明教程. 北京: 地质出版社. 孙金凤, 杨进辉, 吴福元, 谢烈文, 杨岳衡, 刘志超, 李献华. 2012. 榍石原位微区LA-ICPMS U-Pb年龄测定. 科学通报, 57(18): 1603-1615. 王小娟, 刘玉平, 缪应理, 鲍谈, 叶霖, 张乾. 2014. 都龙锡锌多金属矿床LA-MC-ICPMS锡石U-Pb测年及其意义. 岩石学报, 30(3): 867-876. 王濮, 潘兆橹, 翁玲宝. 1982. 系统矿物学(上、中、下). 北京: 地质出版社. 王志强, 陈斌, 马星华. 2014. 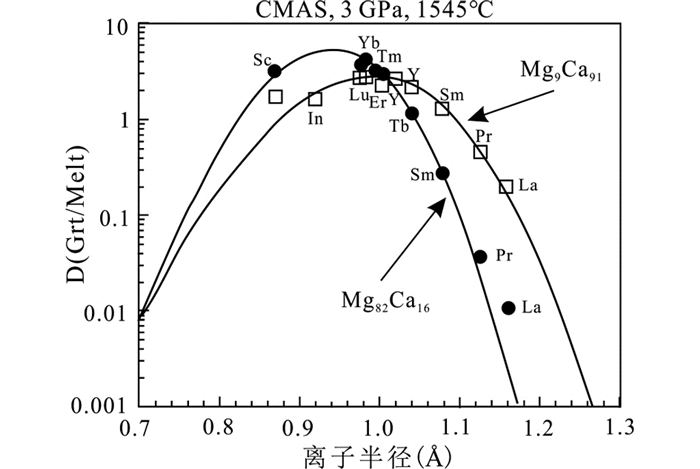 南岭芙蓉锡矿田锡石原位LA-ICP-MS U-Pb年代学及地球化学研究:对成矿流体来源和演化的意义. 科学通报, 59(25): 2505-2519. 徐国风, 邵洁涟. 1979. 磁铁矿的标型特征及其实际意义. 地质与勘探, (3): 30-37. 叶大年. 1988. 结构光性矿物学. 北京: 地质出版社: 1-230. 叶大年, 张金民. 1989. 地球圈层氧平均体积的守恒性. 中国科学(B辑), (12): 1309-1316. 袁顺达, 李惠民, 郝爽, 耿建珍, 张东亮. 2010. 湘南芙蓉超大型锡矿锡石原位LA-MC-ICP-MS U-Pb测年及其意义. 矿床地质, 29(增1): 543-544. 张东亮, 彭建堂, 胡瑞忠, 袁顺达, 郑德顺. 2011. 锡石U-Pb同位素体系的封闭性及其测年的可靠性分析. 地质论评, 57(4): 549-554. 张德全, 雷蕴芬. 1992. 大兴安岭南段主要金属矿物的成分标型特征. 岩石矿物学杂志, 11(2): 166-177. 赵振华, 包志伟, 乔玉楼. 2010. 一种特殊的"M"与"W"复合型稀土元素四分组效应:以水泉沟碱性正长岩为例. 科学通报, 55(15): 1474-1488. 赵振华. 2016. 微量元素地球化学原理. 第2版. 北京: 科学出版社: 8-303, 421-443. 朱乔乔, 谢桂青, 李伟, 张帆, 王建, 张平, 于炳飞. 2014a. 湖北金山店大型矽卡岩型铁矿石榴子石原位微区分析及其地质意义. 中国地质, 41(6): 1944-1963. 朱乔乔, 谢桂青, 蒋宗胜, 孙金凤, 李伟. 2014b. 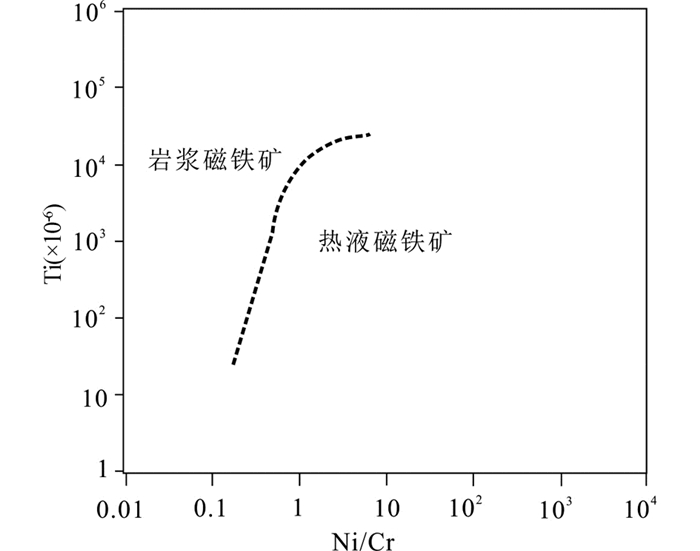 湖北金山店大型矽卡岩型铁矿热液榍石特征和原位微区LA-ICPMS U-Pb定年. 岩石学报, 30(5): 1322-1338.